For All Your Cylinder Head Needs! Why Choose Central Ontario Cylinder Head? Central Ontario Cylinder Head was established in 1997 because we identified a need in the industry. Central Ontario Cylinder Head is a complete cylinder head and engine repair shop as well as a reconditioning centre for all types of cast iron and aluminum cylinder heads. We supply and replace cylinder head castings for most applications. Located in Richmond Hill, we offer a full service machine shop that caters to general and specialized repair. Our team consists of technicians as well as a fully licensed mechanic on staff who will look after all your service needs. Central Ontario Cylinder Head is committed to producing a quality product in a timely manner. Customer satisfaction is guaranteed. Need a Cylinder Head Repaired or Reconditioned? 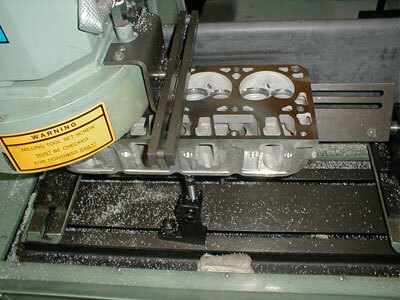 Central Ontario Cylinder Head has the latest up to date tooling to machine the seats for small motorcycle and powersport 4 cycle cylinder heads.